Dominic Rohner is a professor of Political and Institutional Economics. Several of his recent papers have studied the role of natural resources and social capital for explaining armed conflict. 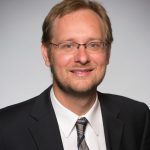 Dominic Rohner (HEC Lausanne, University of Lausanne) has an extensive body of work that focuses on the effects of civil and regional conflict. His new research on power sharing, with co-author Hannes Mueller (Autonomous University of Barcelona), has particular resonance in a world where civil and regional conflict is so rife. Across the world, historically and today, there are scores of examples of extreme tension between distinct groups within a country or region. Frequently the factions involved are distinguished by ethnicity, race, religion or philosophy. Sometimes such tensions are resolved peacefully through politics, too often however these tensions lead to political instability, civil unrest, regional conflict, war and economic loss. In his recent research, Dominic Rohner, together with co-author Hannes Mueller, looked at the practice of power sharing and its ability to help resolve conflict and save lives, even in situations where power sharing may not seem a natural outcome due to imbalances in power. Rohner and Mueller’s work on power sharing was prompted by the spirit of consensualism evident in Swiss politics today. Its origins date back to a more hostile period in the history of Switzerland, when tensions between Catholics and Protestants in the mid-1800s led to a civil war in 1847. Although the Protestant faction won the war, its liberal disposition led it to establish a power sharing agreement rather than crush the enemy. In fact the smaller Catholic Swiss cantons were given the same voting rights as the larger Protestant cantons, which in effect meant that they were overrepresented. The political institutions that were established – a bicameral parliament, proportional representation, a coalition government, direct democracy – all demonstrate a spirit of sharing power, and have survived through to today. The authors set out to test whether power sharing really could reduce violence between groups in conflict. The idea being that in the absence of power-sharing, especially in first-past-the-post systems, even if a faction is only marginally in a minority it can still end up with no power. Thus for the disaffected losing faction the incentive to abandon the political process and resort to violence is considerable. While for the victor, who could seek to assume power and exclude rivals, there is the prospect of governing when continued violence is probable, and the risk that the outcome of future elections may be reversed. However, if power sharing provides the losing faction with a stake in the game, there is much less incentive for it to continue in violent opposition. Although the positive case for power sharing seems plausible, it not an easy proposition to test, as separating correlation and causality is particularly difficult. For example, if power sharing is a product of having reasonable people to deal with, maybe it is the reasonable people who give rise to any beneficial effect, rather than the power sharing per se. The authors found an ideal situation to empirically test their ideas. Northern Ireland has a long history of sectarian violence between the largely Catholic Nationalists who support a united Ireland and the largely Protestant Unionists who support the union with the UK. During the Troubles, between the late 1960s and the signing of the Good Friday agreement in 1998, several thousand lives have been lost. Using the UK’s Freedom of Information powers the authors obtained the political-religious affiliations of the chair and vice-chair for 26 local districts in Northern Ireland between 1973 and 2001 – usually Protestant, Catholic or non-sectarian. If the two were different that was coded as power sharing. Using statistical analysis, looking at the trend line and controlling for average violence, the authors established the impact of power sharing on violence in each district and the extent to which it differed from the baseline average violence. The findings clearly showed that where there was power sharing there was much less violence. In numerical terms, in their restricted sample alone, they estimate that power-sharing resulted in 888 fewer deaths from the conflict. In addition, the authors compared districts where results were close and it was fairly random whether or not there would be power sharing. Again the power sharing districts experienced less violence than those where there was no power sharing. As Rohner says these findings do not necessarily translate to other situations that have very different socio-economic circumstances. Nevertheless, the evidence based principle remains true; power sharing has a very significant effect on reducing factional violence. Some might welcome the findings, but question their value in practice. After all, when a particular faction obtains power, whether through democratic means, or otherwise, the temptation is to wield power independently and exclude opposing factions. However, as Rohner points out, there is a potential trade-off to be considered. Wielding power in isolation will not eliminate tensions and may exacerbate violence. Those tensions and their negative effects can persist for decades, even centuries. Furthermore the faction with majority may be in a minority in a future election. Whereas, as the situation in Switzerland demonstrates, power sharing entered into in the right spirit can create lasting peace and prosperity. Direct intervention by the international community to prevent civil and regional conflict has not always had the intended effect. However, for policymakers, governments and institutions interested in reducing civil and regional conflict, Rohner and Mueller’s work provides strong empirical evidence of the benefits of influencing opposing factions to undertake power sharing in good faith, if possible.